If you picture winding, narrow streets filled with scooters and tiny cars when you picture Italy, you’re not too far off. Driving in this ancient country can be intimidating, but if you’re pressed for time and want to get off the beaten path while still sampling a variety of locations, it’s the only way to go. 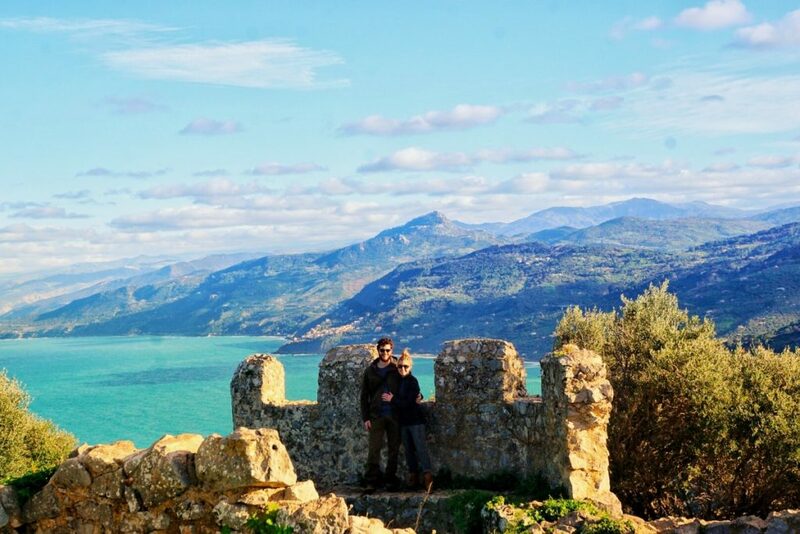 My husband and I conquered the streets of southern Italy this past December and lived to tell about it. 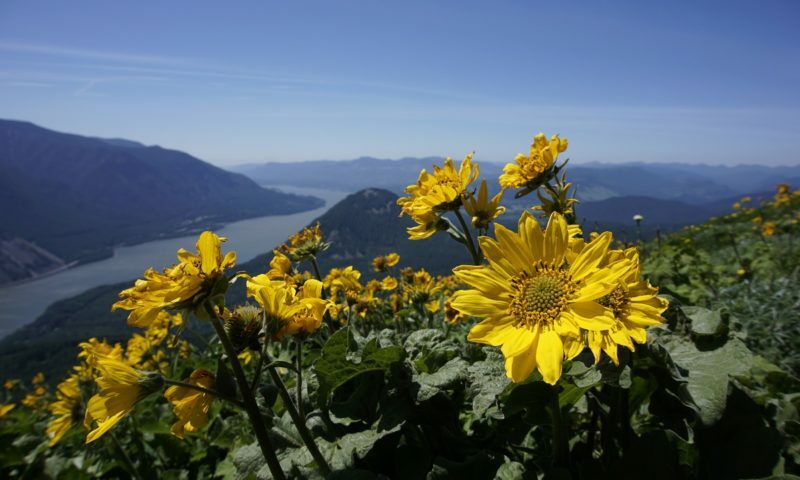 Check out our itinerary and packing tips. If you’re like many travelers, you’ll start your journey in Rome. We did, too! After exploring the city and its delicious cuisine for 3 days, it was time to head south. 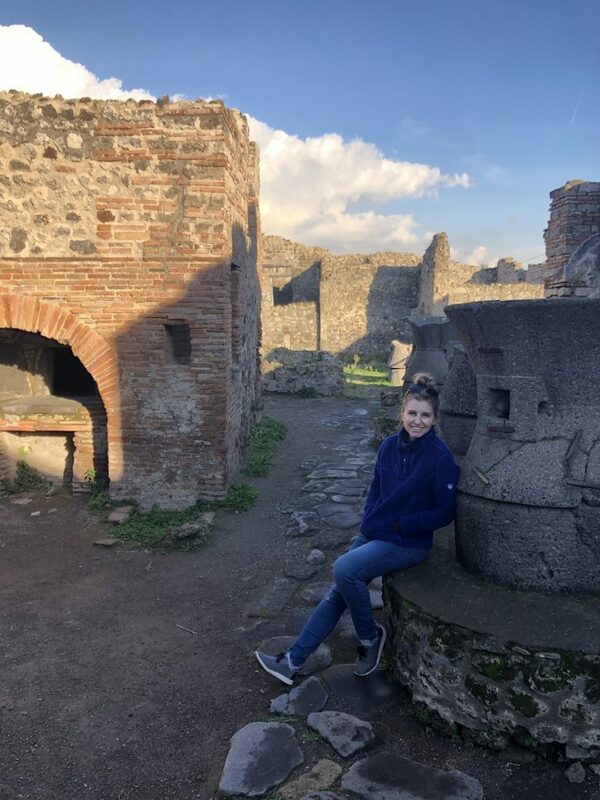 While you could undoubtedly spend weeks soaking up the many sights and sounds of Rome alone, we decided to hit the high points. 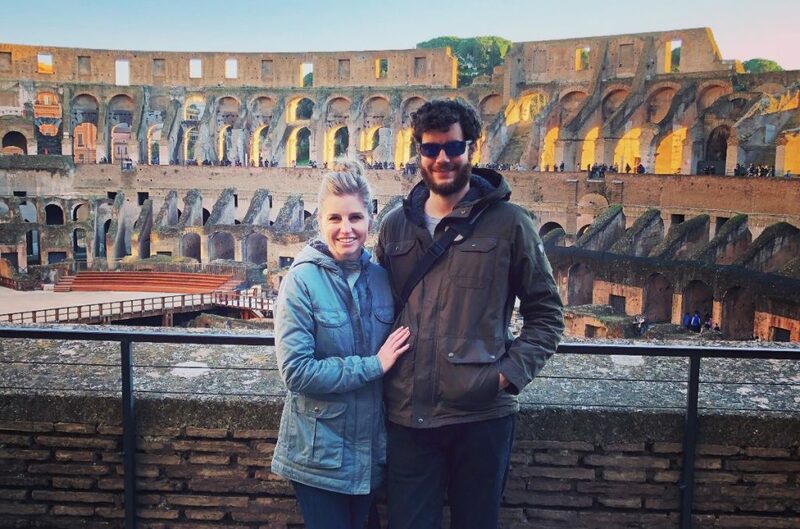 There’s a ton of information on what to do in Rome, so I won’t rehash it here. Just know that you really can’t go wrong. The Colosseum – Hint: go just before closing and get the place to yourself! Hop on a train headed south from Rome to Naples. You can take a direct route and pay a bit more, arriving in about an hour, or choose a train with several stops for less. Arrive in Naples center city and take in this gritty, writhing metropolis – it seems worlds away from Rome! 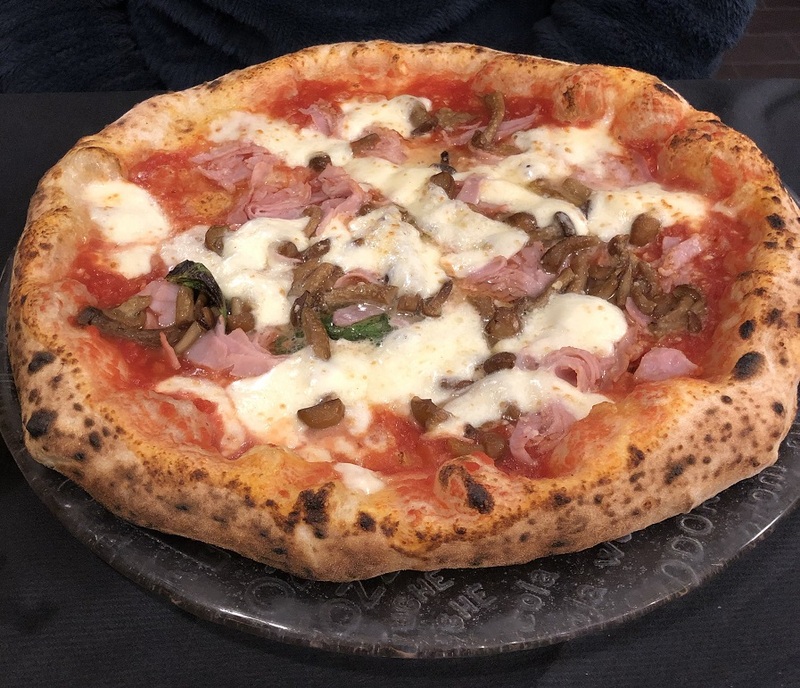 We stopped over in Naples to sample the city’s famous pizza and were not disappointed. It’s worth going just for the food, and in Italy, that’s saying something! We picked up our rental car at the Naples airport, and now it’s time for the real adventure to begin! The streets of Naples are not for the faint of heart, and we got initiated quickly after immediately taking a wrong turn and having to wind our way all the way back through the city. However, we eventually made it to the ancient city of Pompeii, which is just a half hour’s drive from Naples. Pompeii is truly breathtaking and, in our opinion, a must-see when you’re in southern Italy. Buried by the volcanic eruption at Mount Vesuvius nearly 2,000 years ago, this ancient city was perfectly preserved by layers of falling ash, presenting a clear picture of life back then. You’ll see everything from ornate tile mosaics to ancient graffiti, brothels, and more! It is not to be missed, but make sure you take a tour to really learn as much as possible – context is everything! The next two days featured a stay along the breathtaking Amalfi Coast. The Amalfi Coast is better known as a summer destination thanks to its incredible beaches and breathtaking views, but winter finds it virtually deserted (read: no crowds!). Towns are built into the cliffs, providing panoramic views, and the entire coast can easily be driven in just a couple hours. Parking is certainly more of a challenge, but where there’s a will, there’s a way! It was a bit cold for the beach, but we spent an entire day hiking the breathtaking Path of the Gods trail (Il Sentiero degli Dei). You can drive or take public transportation to the trail head, but we chose to hike from Positano, making the entire hike about 11 miles round trip! After a week of hitting the highlights, it was time to get off the beaten path in southern Italy. 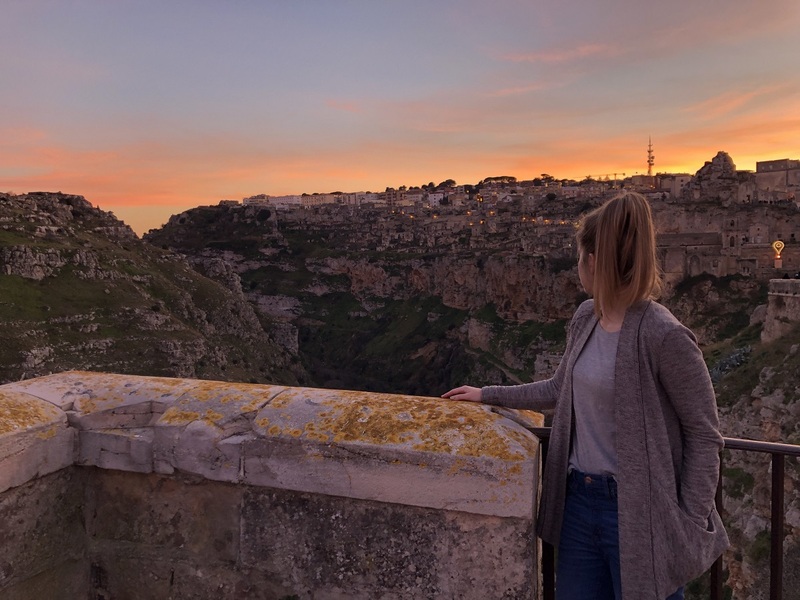 Matera is one of the oldest continuously inhabited cities in the world and is known for its cave dwellings, which are carved underground and into cliffs. The sassi, once occupied only by the poor, have been inhabited for over 4,000 years and today are home to a delightful variety of shops and restaurants. The ancient part of the city is often used as the backdrop for films set in biblical times – The Passion of the Christ was filmed here! 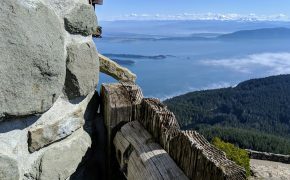 Enjoy taking a walking tour or just weaving your way through the city’s winding streets and caverns. While most of the other drives so far have been just a couple of hours, we did have one long drive on Day 10. Fortunately, we planned this drive to occur on Christmas Day, when shops, restaurants, and pretty much everything else was closed. The drive from Matera to Villa San Giovanni features beautiful mountains and coastlines and is an event in itself! We stayed overnight in Villa San Giovanni because we weren’t confident in the ferry schedule to Sicily, but it turns out we had no reason to worry – ferries depart every 40 minutes from the mainland to Sicily (and back), 365 days per year. Truth be told, Sicily was almost an afterthought on our trip – something that pains me to say now! We had figured we might as well go since we’d be down there anyway, but it ended up being our favorite part of the trip (and that’s saying something). After taking a quick ferry ride over from the mainland, we began our journey through Sicily. The island is surprisingly large and it took us about 3 hours to drive from the port city of Messina to the capital of Palermo, where we stayed. On the way, we stopped by the stunning fishing village of Cefalú, where we spent an hour climbing the Rocoo di Cefalú – must do! After exploring the picturesque town and grabbing some gelato, we continued our journey, ending in the bustling city of Palermo. The next day, we visited an Amodeo’s Olive Oil Farm in the village of Montevago – another incredibly unique experience! 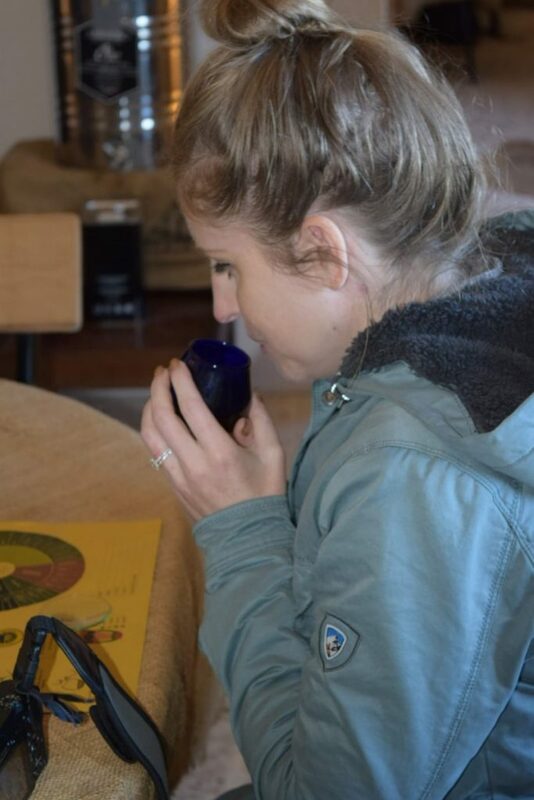 After learning all about how olive oil is produced and how olives are grown, we were able to do an olive oil tasting. The owner, Francesco, even took us into town to grab some authentic Sicilian cannoli! This was one of our favorite days of the entire trip. 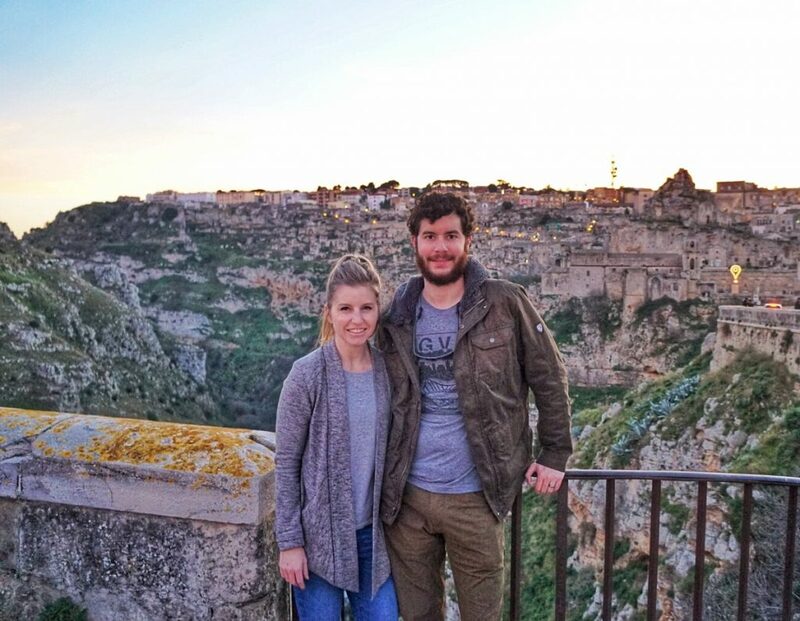 We also learned just how much there is to do in Sicily and realized we could have spent 12 days there alone! After that, we dropped our car off at the airport in Palermo and hopped on a flight back to Rome! It was time to head home. 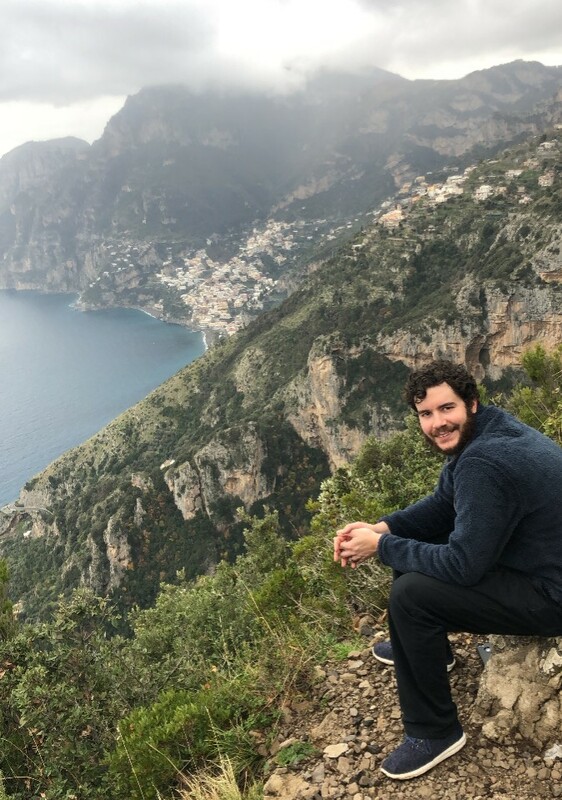 Of course we wish we had far more time in each destination, but we loved the taste of southern Italy we got on our trip! We can’t wait to go back! 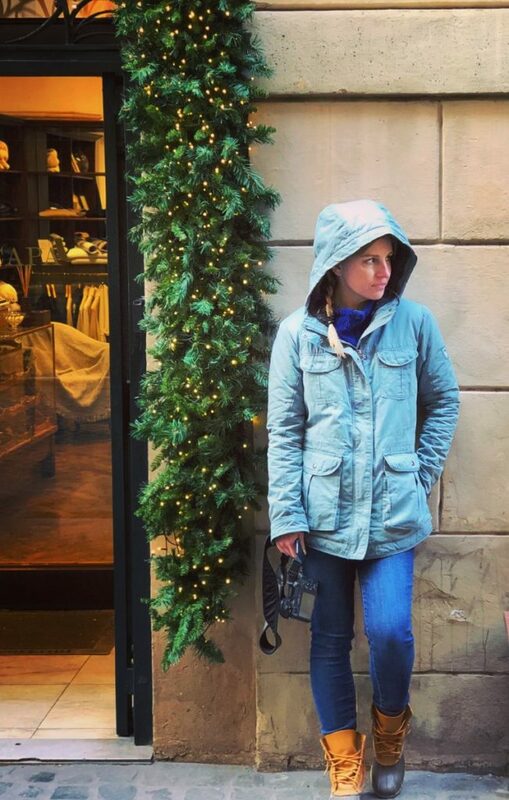 Danielle Cemprola is a freelance writer, marathoner x 52, and the brains behind the popular running and travel blog The T-Rex Runner. 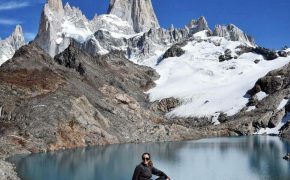 Danielle and her husband, AJ, love to hike, travel, and eat their way across the planet. She’s a self-described carry-on enthusiast who loves challenging herself to pack for any trip, no matter the length or destination, in a carry-on bag. When Danielle’s not flying the friendly skies, you’re likely to find her working at her day job as an environmental scientist – hey, someone needs to pay for all those plane tickets!